ATHENA Akron presented a check for $1,000 to Dr. Judit Puskas for the Breast Cancer Innovation Foundation. 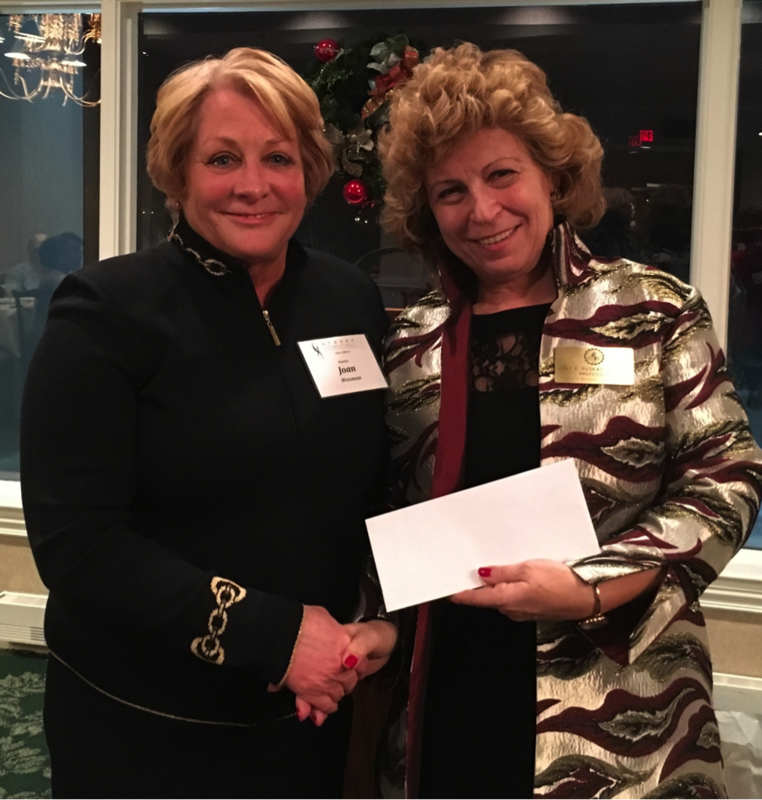 Joan Wessman, President of ATHENA Akron, presents a check for $1000 to Judit Puskas for the Breast Cancer Innovation Foundation. 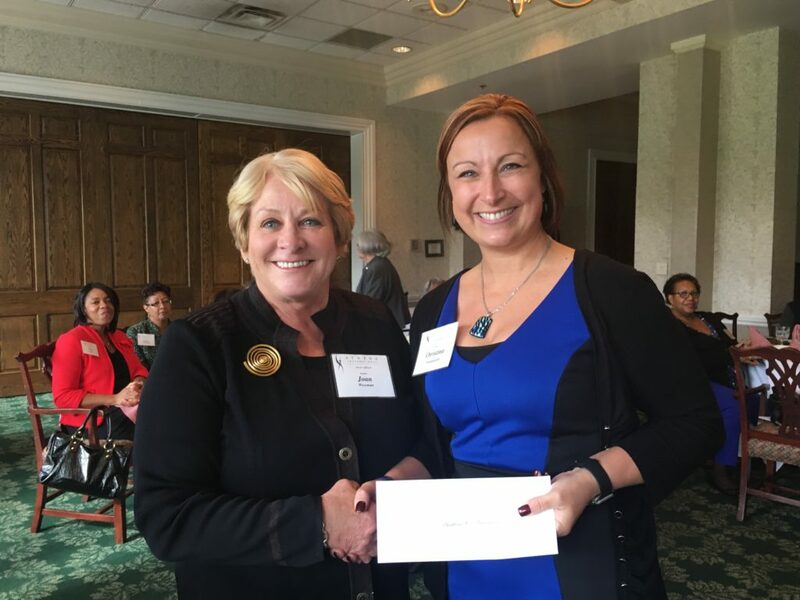 Akron, OH (Jan. 9, 2018) – To further its mission to bring together and support women leaders in Summit County, ATHENA Akron presented a $1,000 donation to the Northeast Ohio-based Breast Cancer Innovation Foundation at the ATHENA Akron annual meeting held at the Fairlawn Country Club in December. The Breast Cancer Innovation Foundation funds innovative, local breast cancer research for a breast implant that treats cancer. At the 2017 ATHENA Akron annual Women’s Leadership Day Luncheon, the organization designated part of the proceeds from the event to support the Breast Cancer Innovation Foundation and the work of Dr. Judit Puskas, a materials scientist at the University of Akron College of Engineering. Dr. Puskas’ invention is a drug-eluting tissue expander for breast reconstruction and may radically improve the quality of life for breast cancer patients throughout the world. The foundation’s current goal is to raise enough funds to support moving Dr. Puskas’ innovation into clinical trials at The Cleveland Clinic so that she can bring to market a breast implant which can detect and cure cancer. The Breast Cancer Innovation Foundation is a 501(c)3 nonprofit organization founded in Akron, Ohio in 2012 by Carole and Robin Reid. Originally known as the Carole & Robin Reid Foundation, our name changed to the “Breast Cancer Innovation Foundation” in 2014. The mission of the Breast Cancer Innovation Foundation (BCIF) raises funds and donates to universities and charitable research institutions conducting breast cancer research that will benefit women, by transferring innovations from the laboratory to the bedside. ATHENA Akron, Inc. is a nonprofit organization founded as the first affiliate of ATHENA International. The goals of ATHENA Akron are to connect established women leaders, provide access to established women leaders and offer leadership development. For more information visit the website at www.ATHENAAkron.org. Joan Wessman presents check to Christina Hodgkinson, Resident Services Director, Akron Metropolitan Housing Authority accepted for Building for Tomorrow which puts on Mom-Me Time. Angela Tucker Cooper accepts a check from Joan Wessman (left) for ACCESS, Inc. a Women’s Shelter Angela is a member of their Board. AKRON, OHIO (May 15, 2016) – Akron ATHENAPowerLink®, a licensed program of ATHENA International, is accepting applications from woman-owned businesses to receive an individually selected board of advisors for the one year period September 2016 – August 2017. Applications will be accepted through September 12, 2016. The ATHENAPowerLink® Program links a woman-owned business with a board of advisors recruited from the local community. The board of advisors and the woman business owner work together for one year to meet the specific objectives of the owner. Business owners access new networks, capital resources and implement best practices from these volunteer advisors. It is designed to increase the growth and profitability of women-owned businesses. This program is operated by ATHENA Akron, Inc. To request an application, please email athenapowerlinkakron@gmail.com before June 15, 2016. ATHENA Akron Inc., a nonprofit organization, was founded as the first affiliate membership program of ATHENA International. Additional information is at www.ATHENAAkron.org. For more information about ATHENAPowerLink®, visit Akron ATHENAPowerLink®. (From left) Patricia Smoot Wicks of PATHworks!™ and Laura King of Bruner Cox presented a $500 donation on behalf of ATHENA Akron to Debra Manteghi and Rachel Breece of Project RISE to help their organization keep homeless children in school. 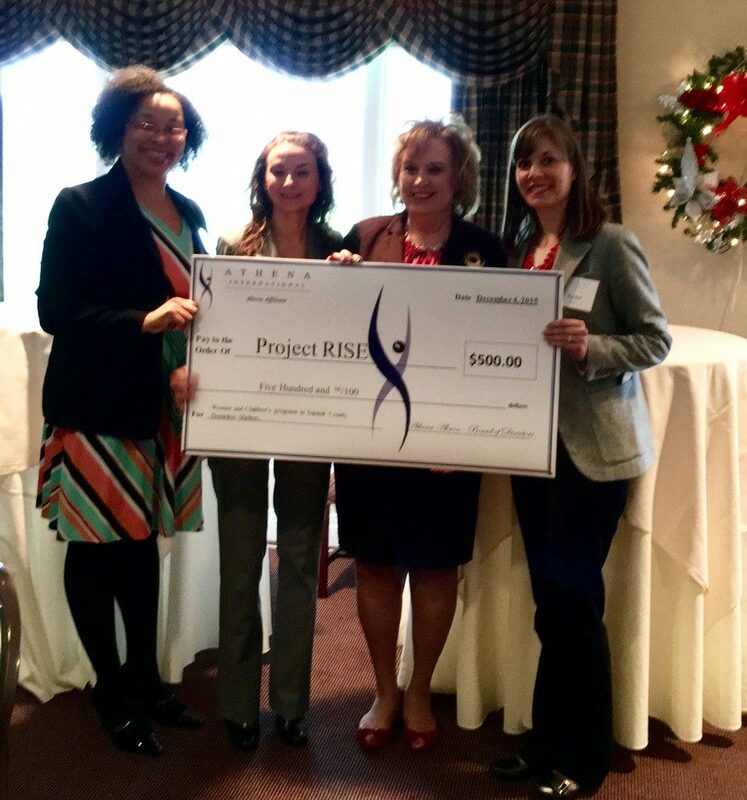 AKRON (Dec. 4, 2015) — ATHENA Akron presented a check for a $500 donation to Project RISE at the monthly Leadership Forum held at the Fairlawn Country Club. Project RISE helps Akron children who are homeless to continue to stay in the Akron Public School system despite their living situation. When ATHENA Akron held their annual Women’s Leadership Day Luncheon in September, the organization designated part of the proceeds from the event to go to support Project RISE. Project RISE (Realizing Individual Strength through Education), under the Office of Student Services, is a collaborative effort by Akron Public Schools, local shelters, and the community. It is a federally funded program, facilitated by Ohio Department of Education, through the McKinney-Vento Homeless Assistance Act: Education for Homeless Children and Youth Programs. The main purpose is to remove barriers to the educational process and success of students who have lost their housing due to hardship. ATHENA Akron, Inc. is a nonprofit organization founded as the first affiliate of ATHENA International. 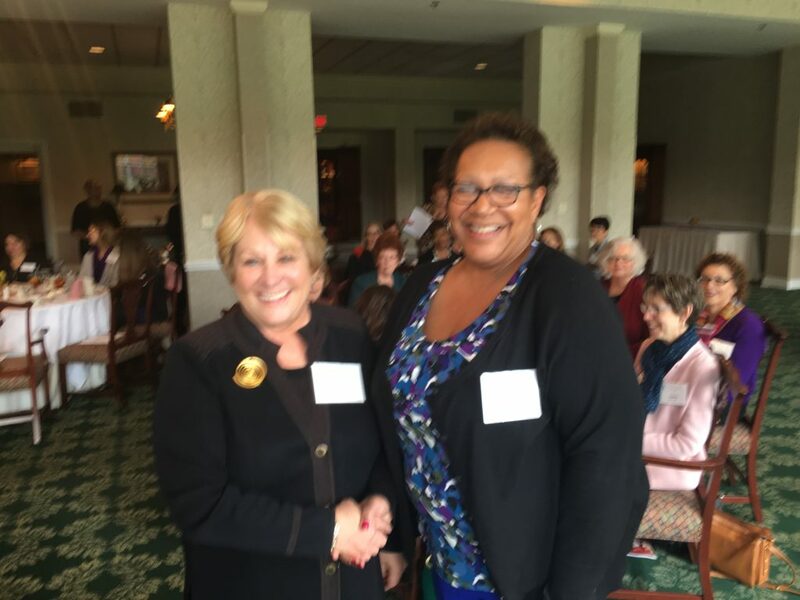 The goals of ATHENA Akron are to connect established women leaders, provide access to established women leaders and offer leadership development. For more information visit the website at www.ATHENAAkron.com.